The museum itself showcases many different aspects of African American history in a touchable, tactile fashion. 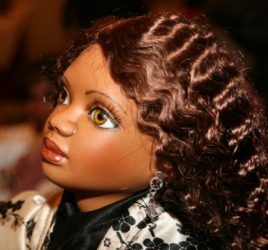 One of the dolls, called a topsy turvy, was used by African American slaves. The doll itself was a combination of two torsos, one white and one black. The slave mother taking care of both her children and the white children would put a dress on the appropriate side, as slaves were not allowed to have dolls growing up. 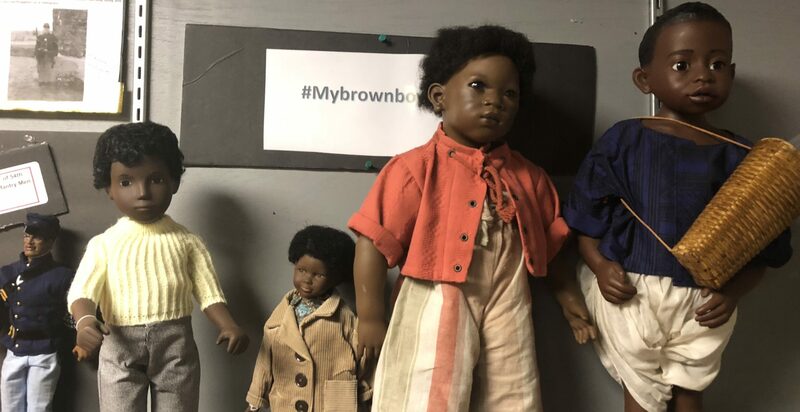 Ida Roberta Bell, a fourth-grade teacher in Chicago in the 1960s, began creating dolls as teaching tools to represent important African American leaders and innovators who were seldom mentioned in school history books. Bell created a set of 26 dolls that stand about 18 inches tall and are marked “Bertabel’s Dolls.” The first doll she made represented George Washington Carver, a scientist, and the last depicted Harold Washington, the first black mayor of Chicago.